Let’s see….where do I begin? Well, why don’t I start with my favorite place in Newport Beach- Newport Coast. I’ll admit it, I’m a sucker for the glitz and glam of it. Whether it’s the spectacular neighborhoods, or the ocean vistas, or maybe it’s the fine shopping and dining at Fashion Island. I can’t put my finger on just one thing and maybe I don’t want to. There is so much to do here, and so many places that I love to go. One of those would have to be Balboa Bay and the Balboa Park Fun Zone. I mean, you could spend your vacation here and never run out of things to do. It’s no surprise that many Americans do just that. An don’t be misled, you don’t need a champagne budget to have a good time here, as the downtown area of central Newport Beach has an array of great places to eat, exhibits, parks, surfing, bike riding, sightseeing, and like Huntington Beach, Newport Beach has a long, flat coastline great for taking walks. The Newport Beach Boat Parade is another favorite event, and it brings in visitors from all over southern California each Christmas, as the local boat owners put their best foot forward as they deck (“deck”…a little boat humor!) their crafts out with everything from elaborate light displays, to live bands and dancers in the once-a-year spectacle. It gets crowded, but it is worth it. I can promise you that you’ve never seen anything quite like it. Newport Dunes is just one of the many places where people love to spend their vacation. It sits right inside the Newport Bay and offers camping in addition to boating, paddle boarding and kayaking, and is just a stone’s throw from the breakwater. People often park their yachts at the Back Bay Bistro and stop for happy hour and take in some live music from the local musicians. 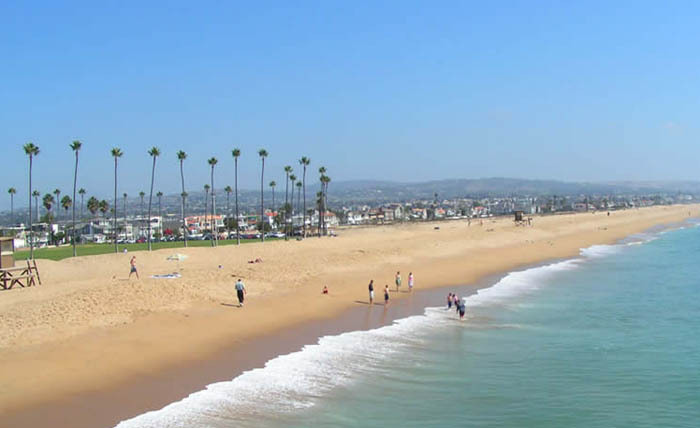 If I could pick any city in south Orange County to live in, Newport Beach would definitely be in the running for top spot.